A recipe from Monique van der Vloed in which she processed Greensweet Extra Sweet. 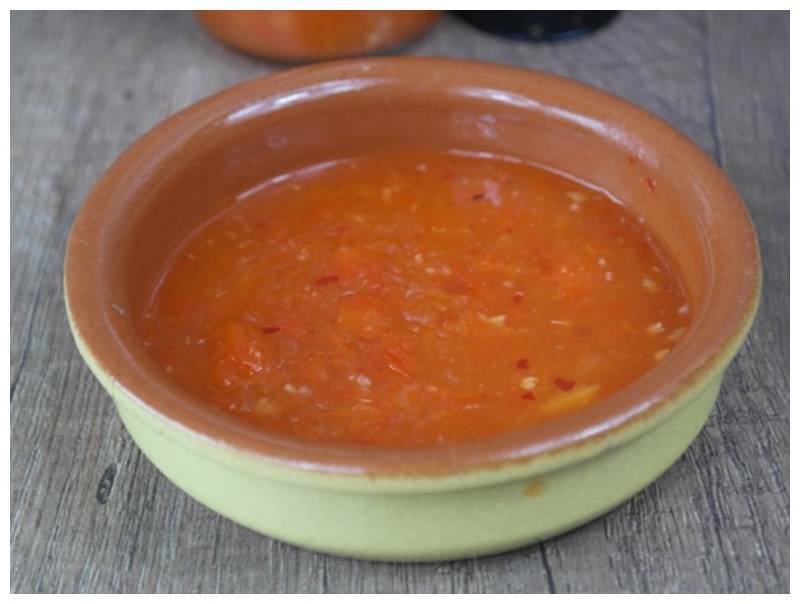 Sweet chili sauce is a very popular sauce that is often eaten with a hot meal. Chilli sauce is also indispensable for an egg roll. Unfortunately, almost all variants contain a lot of sugar and artificial E numbers / flavor enhancers. You make chilli sauce very easily yourself. Within 5-10 minutes you already have a full bottle! Put all ingredients, except the arrowroot, in a pan, and bring to the boil. Make a paste of the arrowroot with a little water. As soon as the masses boil, smooth out everything with the hand blender. Then add the arrowroot and keep stirring until the sauce has reached the desired thickness. Pour everything into a glass bottle or jar and allow to cool. Store in the refrigerator.